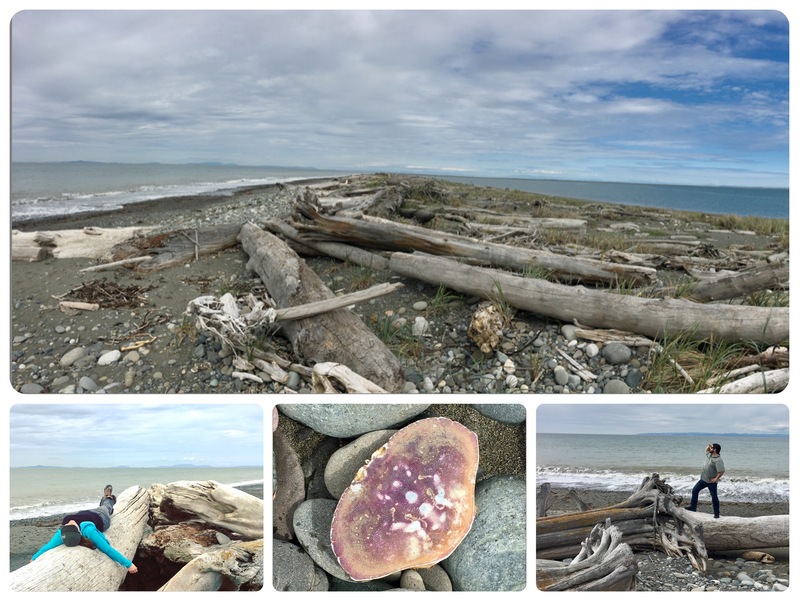 Looking for a weekend getaway, Port Angeles did not immediately leap out at me as an ideal destination. However, knowing some of the hikes in the area and seeing the appeal of being on the water, away from the big cities, and only a few hours away… well, it kind of grew on me as a better and better idea. Josh said he was up for it, so we settled on a long weekend away with two nights in Port Angeles and one night in Port Townsend. 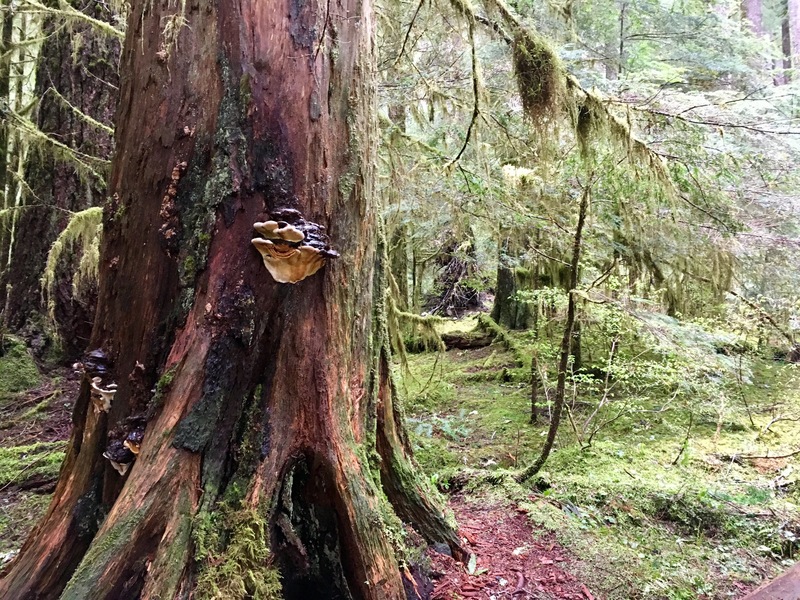 On the first day, we aimed for the Sol Duc valley. 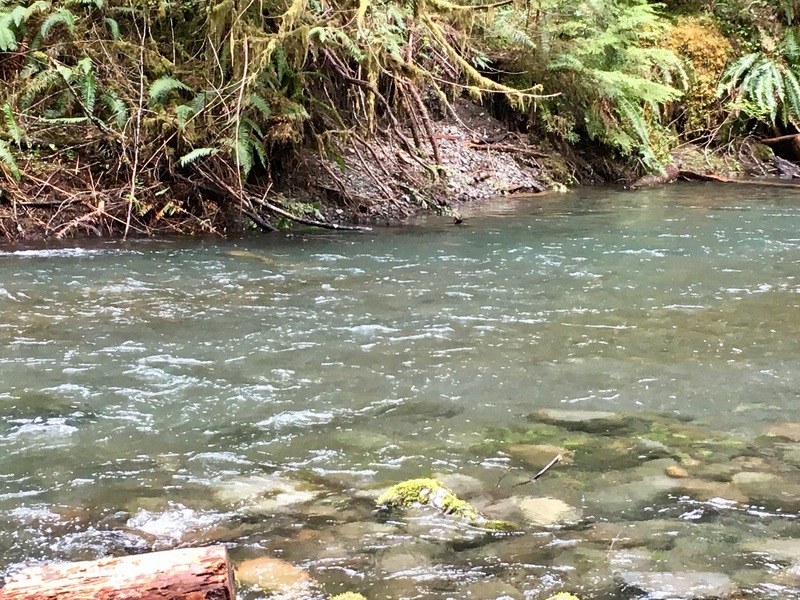 It had been several years since I’d been to Sol Duc Hotspring and it seemed like a nice place to stop. As it is a “resort” and very built up for tourism, it isn’t an ideal Hotspring like Goldmyer or Olympic or some of the others around the northwest, but the accessibility was an appeal for a weekend where both of us were recovering from colds and weren’t quite at the top of our games energywise. The Hotspring was pretty crowded with people and the temperatures were not as hot as I remembered from childhood, but the soak seemed to do us both good and it was worth a visit. 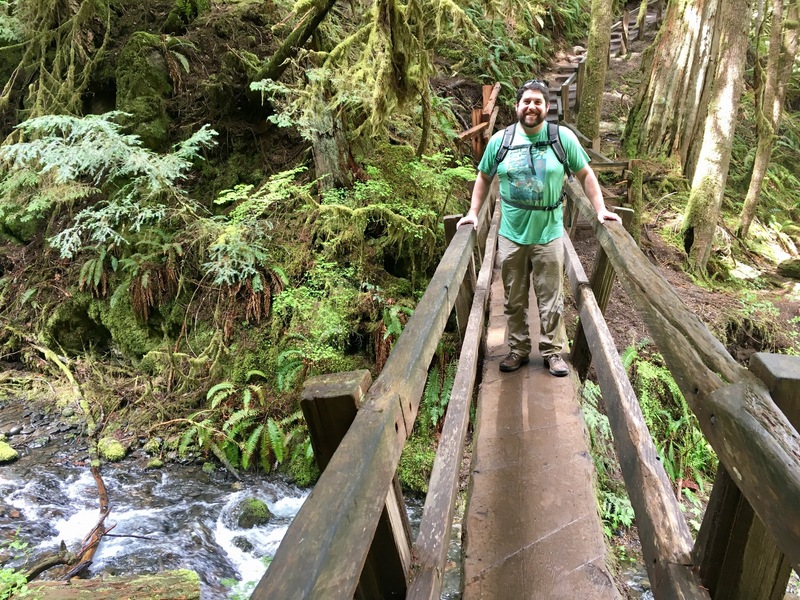 And of course, just down the road is the trailhead to Sol Duc Falls, a gorgeous hike and a must-see for anyone coming through the area. We didn’t take many pictures but there is plenty of information available online for anyone interested in coming out to visit. 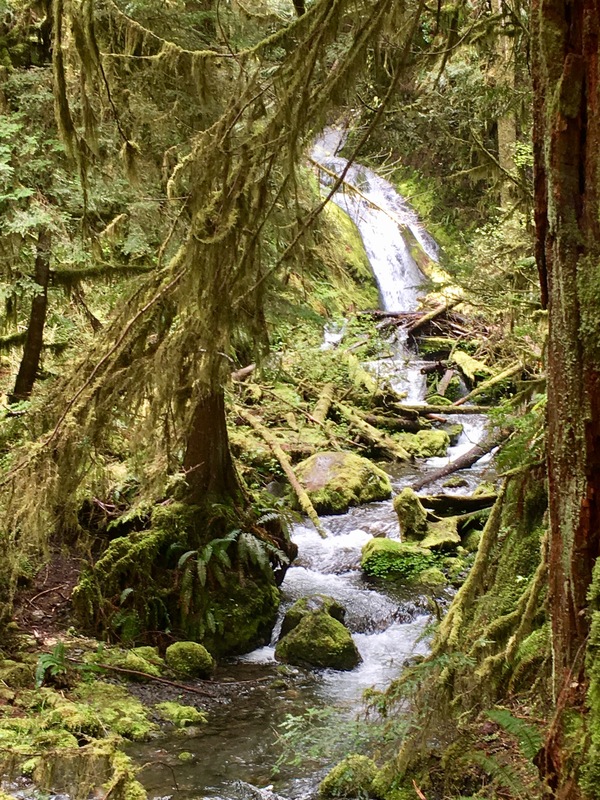 Sol Duc valley looking exceptionally green! The to-do list for the area grows and there will definitely be a return trip (or two!) to hit some of the higher mountains when the snow has melted. In the meantime, we found a handful of trails and sites that were truly lovely and filled our weekend to the brim with exploring. Confession: what follows is not necessarily true to the order we hit them, but is close enough and makes more sense on a map than the crazy back-and-forthing that actually occurred on this adventure. 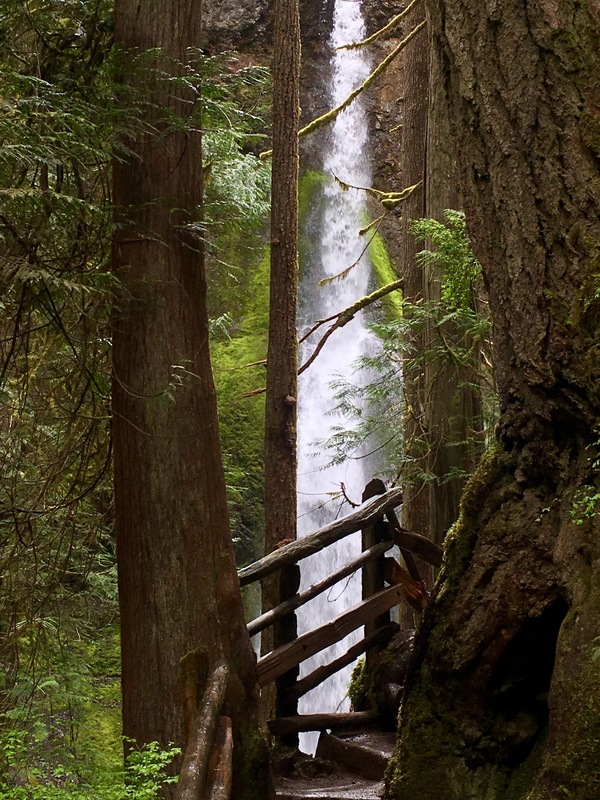 Marymere Falls is a 1.8 mile hike to a lovely waterfall with lots of wooden stairs and river views. Fairly quick in-and-out and worth the stop. Next time we will hit Mt. Storm King for some epic views, but for now the lowlands sufficed. The next hike began as a bit of a joke but ended up being a fun adventure. Scanning the WTA app for local hikes, we noticed a waterside hike labeled “Striped Peak.” Jokes about being able to count it as a summit led to a review of the Peakbagger page and low and behold, it was indeed a baggable summit! Striped Peak is located along the water in Salt Creek Recreation Area and is listed as a 5 mile easy hike on WTA. 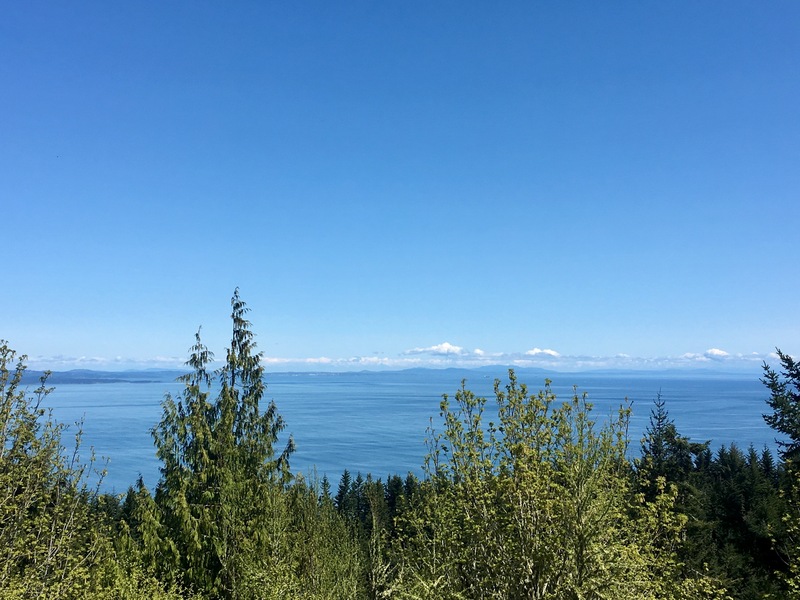 It’s a little deceptive though as the trail to the summit is more of a series of paths and dirt roads through DNR lands, and the scenic hiking trail along the water and up into the trees takes you to a road that you can follow up to an overlook. Both of these high points are listed on Peakbagger so in the end it counted for two as our semi-directionally-challenged wanderings led us to both and resulted in about 7.5 miles of hiking. 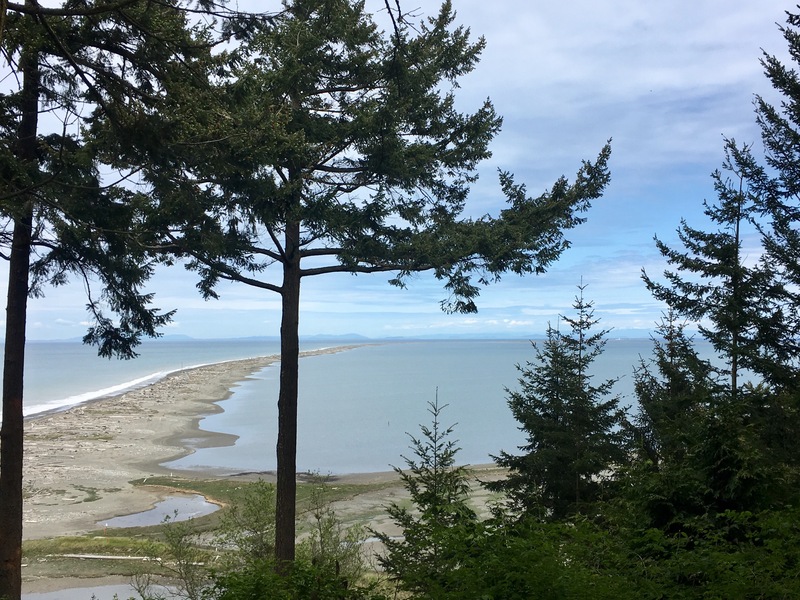 With better planning and foreknowledge of the area, the best plan appears to be to take the roads to the summit, trek over to the overlook, then return via the coastal trail with a drop down at the cove (which we only caught views of but were not lucky enough to visit). Here is a MAP of the trail systems in case some future adventurer wishes to try it for themselves. 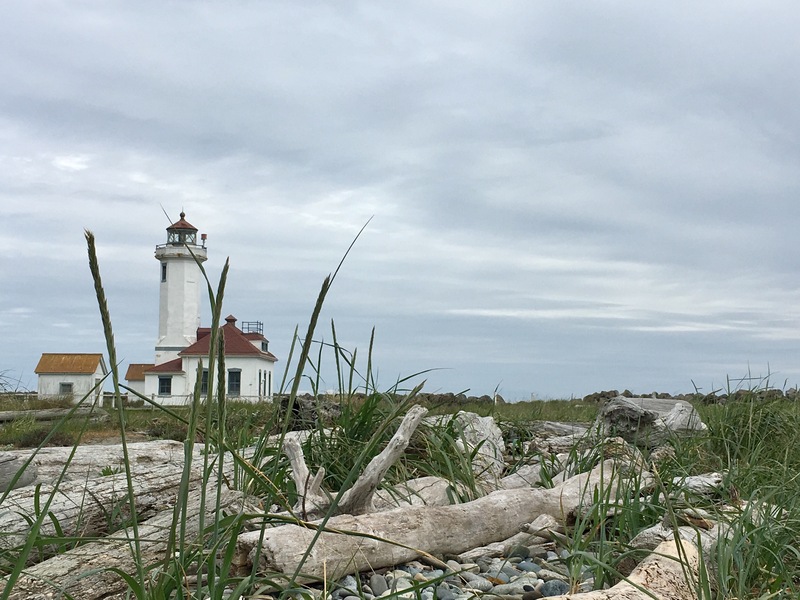 Between Port Angeles and Port Townsend, the infamous Dungeness Spit beckons to adventurers and seafood fans. Which came first, the crab or the Spit? Still having some trouble finding the answer, but this WEBSITE suggests that the river and Spit are named for Dungeness Headland in England, and the crab is named after the thusly named features, and… that’s all I can figure. If anyone has a more reliable source of information on this, I would love it! 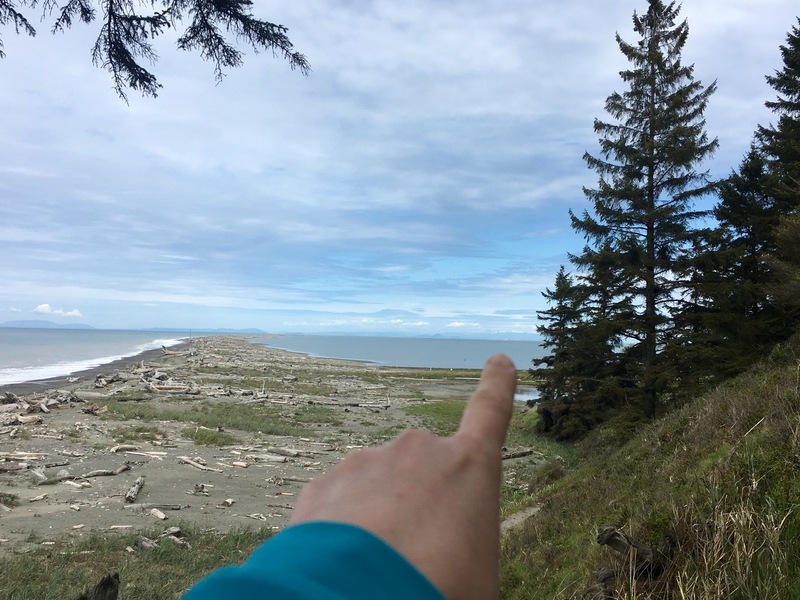 Anyways, we set out for Dungeness Spit but didn’t plan well enough to make the entire 11 mile round trip hike out to the lighthouse. 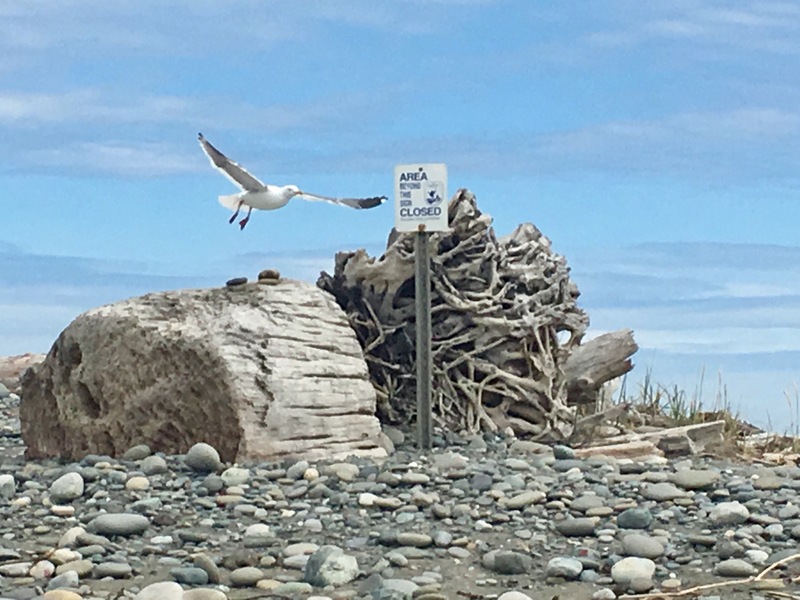 There is no designated trail once you are on the beach so it’s a hike across sand and rocks and logs which is a lot of fun but makes for incredibly slow going and is more of a challenge if you go during a higher tides (which, of course, we managed to do). Still, even having to turn around just past the two mile marker, it was absolutely worth it! Pointing out the lighthouse 5.5 miles away! 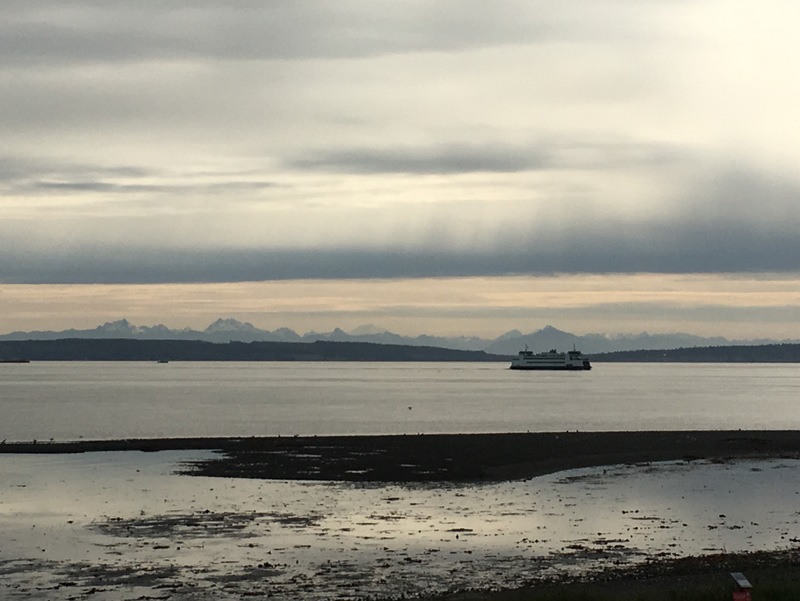 Finally, Port Townsend. A great town I can’t wait to go visit again and do some more urban exploration! However, our interests this trip centered more on being outdoors and so it was more outdoors we went. 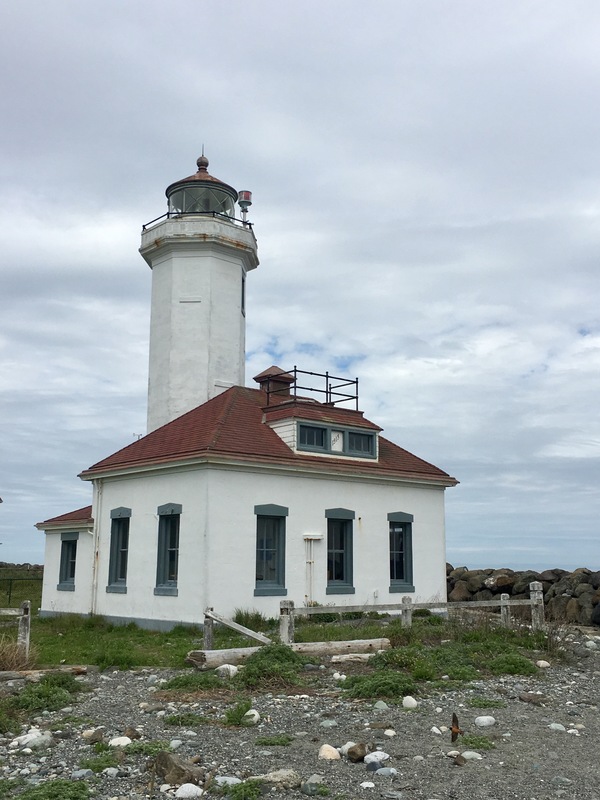 After spending a cozy night at a waterfront Bed & Breakfast (hey, even outdoors folks enjoy living it up once in a while), we went out to explore Fort Worden and the Point Wilson Lighthouse. The completely PNW view from our B&B! 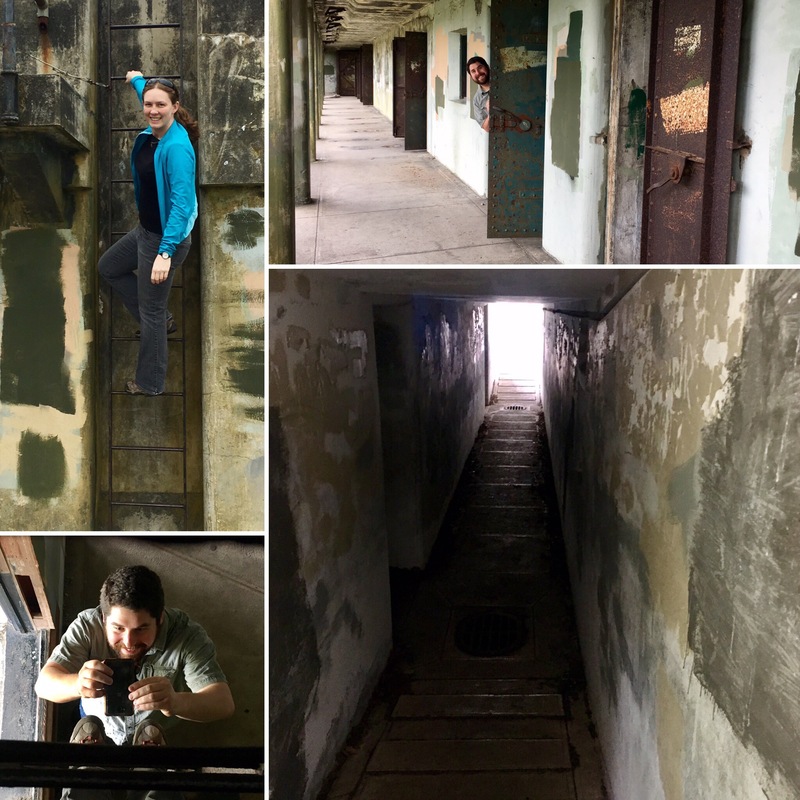 Fort Worden was surprising! According to the placards, about 40 buildings still stand, and there is a conference center, museum, and plenty of buildings you can rent out for lodging. There are several batteries along the water, and we spent tons of time wandering through the rooms, scampering down tiny cement stairways and climbing up old ladders, all of which remains open and accessible. You can tell from the paint that the rangers are kept busy keeping the graffiti under control, yet overall it felt open and welcoming and a blast to explore. The lighthouse and the trails along the point and through the dunes were also beautiful. We were lucky to be there on a Monday morning and had most of the places all to ourselves; I can imagine that in tourist season and on weekends this place can be packed! 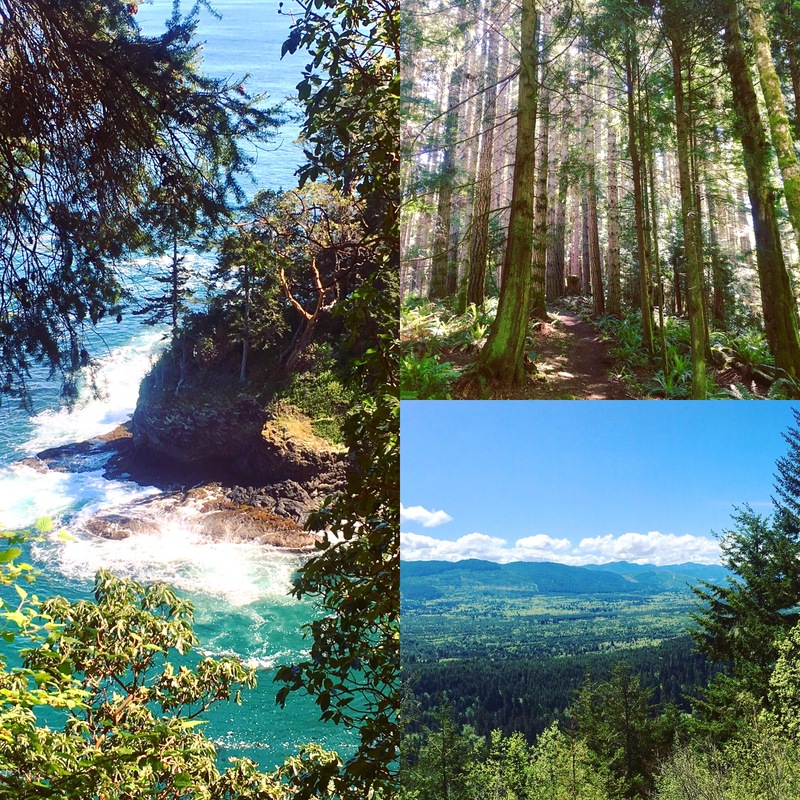 A weekend of adventuring, exploring, and rest… and all just a few short hours away from Seattle. What a wonderful way to get out and play in our own backyard!